If this month's Mormon women's feminist retreat is any indication, feminism is alive and well in the Church of Jesus Christ of Latter-Day Saints. The women held the annual event earlier this month, celebrating the 40th anniversary of their feminist magazine Exponent II. This year, however, was different from years past. The retreat sold out in just 36 hours, and was attended by women from 26 states and three foreign countries, nearly doubling its 2012 attendance. The event came just months after a woman named Kate Kelly was excommunicated from the church for apostasy (abandoning a religious belief) when she advocated for the ordination of women into the priesthood. And although Mormon feminists have yet to express an opinion on whether women should be allowed to be ordained, their sentiments seem to be very much in line with Kelly's. More than anything, this group of women strives to develop a voice for females in the Mormon church. Their movement began in 1974 with the publication of the first-ever issue of Exponent II by a group of young Mormon women, led by Susan Kohler. In her day, Kohler sought to bridge the gap between Mormonism and feminism, arguing that these two sets of beliefs could happily coexist. Today, the group of Mormon feminists carry on her legacy by studying feminist history and publishing articles that directly confront controversial issues such as abortion. Their retreat this month even featured a session called "The Art of Desire", in which the women discussed the "elements of our [church] culture that are inhibiting to our sexual self-confidence as well as elements of our theology that are liberating and permission giving." The women were also quick to recognize that theirs is a rocky history. In one session, retreat attendee Anne Wundurli highlighted the shift in the church "from an empowerment situation to an infantilizing situation." But these women are determined to ensure that this is no longer the case. And they're not alone. 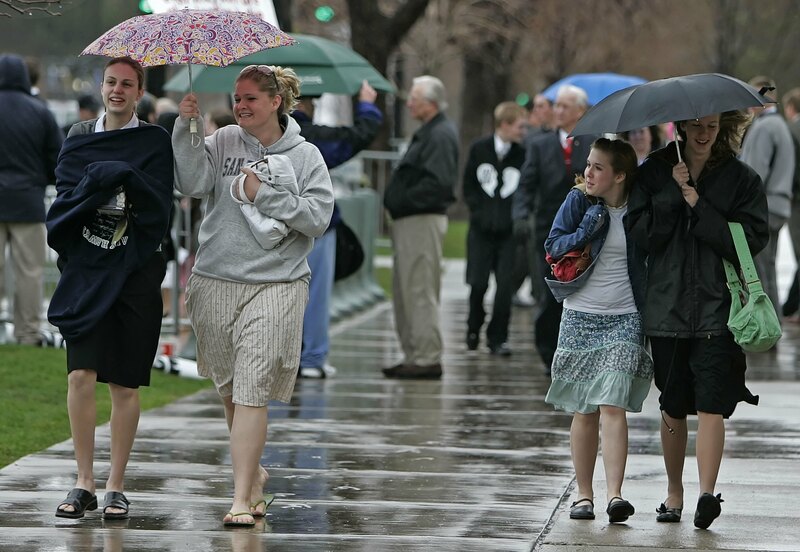 The internet is teeming with groups such as youngmormonfeminists.org and mormonfeminist.org who are keen on shedding the conservative image frequently associated with the Mormon church. Other Mormon women, such as Neylan McBaine, are seeking out ways to provide women with a greater presence in church proceedings outside of the priesthood. Even church officials are taking progressive action by recently referring to women as "blessed disciples of Jesus Christ." All of these efforts are positive advancements for a religion that has often been viewed as regressive. To care enough about the church to want to see it better, to cherish the past without denying the future, to love and respect the brethren while recognizing their limitations, to be willing to speak when no one is listening — all of these require faith. Whether or not Mormon ideology entirely coincides with feminism, therefore, for these women, it inspires a faith that very much fuels their feminist agenda. What is more, the growing number of women joining the Mormon feminist cause only promises to further this agenda in the coming years. More important still is the fact that these women have shattered the divide between feminism and antiquated religious beliefs, proving in the process that faith is unique to every individual, and can certainly be used as an instrument for change.